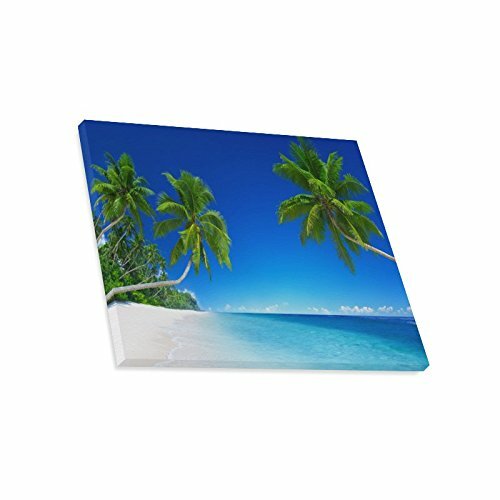 Tropical Ocean Beach Canvas Print Wall Art - Home Decor Corridor Bedroom and Living Room Decorations Modern Canvas Wall Art - Ready to Hang - Size 20"x16"
If you have any questions about this product by Exquisite Art Canvas Prints, contact us by completing and submitting the form below. If you are looking for a specif part number, please include it with your message. Seasons Beautiful Wooden Bridge On The Nature Waterfall Canvas Print Wall Art - Home Decor Corridor Bedroom and Living Room Decorations Modern Canvas Wall Art - Ready to Hang - Size 20"x16"